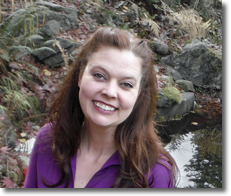 Rebecca Cayen – Experts in Puget Sound coastal processes, management, and cost-effective design since 1993. Rebecca has a bachelor of science degree in geology and over nine years of office administration experience working for federal, state, and local government agencies, and in the private sector with knowledge of different practices, policies, regulations, and laws. Rebecca supports CGS staff with her administrative experience and completes project work using her skills in geology/geomorphology and fieldwork.